This is a summary of the ways in which medical information about you may be used and disclosed, and how you can obtain access to this information. Dr. Lewis, his associates, and his entire staff will use your medical information as part of rendering patient care. Your medical information may be used for treatment, payment, or health care operations. For example, your medical information may be used by the health care professional treating you, by the office insurance coordinator to process your payment for services rendered, and by administrative personnel reviewing the quality and appropriateness of the care you receive. Your information may also be disclosed pursuant to applicable federal and state law. The complete Notice of Privacy Practices is below. We encourage you to read the entire notice. You are required to acknowledge in writing that you have been offered a copy of the notice. Dr. Blair Lewis, his associates, and his staff (collectively “the Practice”) are dedicated to protecting your medical information. We are required by law to maintain the privacy of protected health information and to provide you with this notice of our legal duties and privacy practices with respect to protected health information. This notice applies to all of the records of your care generated by the Practice. Your personal doctor may have different policies or notices regarding the doctor’s use and disclosure of your medical information. If the Practice revises the terms of this notice, it will post a revised notice in this office and will make paper copies of this Notice of Privacy Practices for Protected Health Information available upon request. The Practice will use your medical information as part of rendering patient care. Your medical information may be used for treatment, payment, or health care operations. As to treatment, we may use medical information about you to provide you with medical treatment or services. We may disclose medical information about you to doctors, nurses, technicians, and other personnel of the Practice. We may also disclose medical information about you to people outside the Practice who may be involved in your medical care. As to payment, we may use and disclosed medical information about you so that the treatment and services you receive at the Practice may be billed to and payment may be collected from you, an insurance company, or third party. For example, we may need to give your health plan information about a procedure you underwent here so that your health plan will pay us or reimburse you for the procedure. As to health care operations, we may use and disclose medical information about you for operations of the Practice. These uses and disclosures are necessary to run the facilities of the Practice, and to make sure that all our patients receive quality care. To contact you to provide appointment reminders or information about treatment alternatives or other health-related benefits and services that may be of interest to you. When required by the U.S. Department of Health and Human Services as part of an investigation or determination of compliance by the Practice with relevant laws. Unless you object, the Practice may disclose to family members, or other relatives, or close personal friends the medical information directly relevant to such person’s involvement with your care. The Practice may also give relevant information to an individual who helps pay for your care. To public or private entity for the purpose of coordinating with that entity to assist in disaster relief efforts. For public health activities, including the reporting of disease, injury, vital events, and the conduct of public health surveillance, investigation and /or intervention, or to a health oversight agency for oversight activities authorized by law, including audits, investigations, inspections, licensure or disciplinary actions, and administrative and/or legal proceedings. If you are involved in a lawsuit, claim, potential claim, or dispute, we may disclose medical information about you to attorneys, investigators, insurance companies, and related entities representing the interests of or insuring the doctors and/or other personnel affiliated with the Practice. We may also disclose medical information about you in response to a court or administrative order. We may also disclose medical information about you in response to a subpoena, discovery request, or other lawful process by someone else involved in the dispute, but only if efforts have been made to tell you about the request or to obtain an order protecting the information requested. For federal, state, or local law enforcement purposes, or other specialized governmental functions, as follows: 1) in response to a court order, subpoena, warrant, summons, or similar process; 2) to identify or locate a suspect, fugitive, material witness, or missing person; 3) about the victim of a crime if, under certain limited circumstances, we are unable to obtain the person’s agreement; 4) about a death we believe may be the result of criminal conduct; 5) about criminal conduct at this facility; and 6) in emergency circumstances, to report a crime, the location of the crime or victims, or the identity, description, or location of the person who committed the crime. To a coroner, medical examiner, or funeral director. To an organ donation and procurement organization if you are an organ donor. For certain research purposes, if the project has been reviewed and approved through a process which balances the research needs with patient privacy interests. We will ask for your consent to participate in any research study, when applicable. To prevent or lessen a serious threat to the health or safety of another person or the public. Any disclosure, however, would only be to someone able to prevent the threat. As authorized by laws relating to workers’ compensation or similar programs. As required by domestic or foreign military command authorities, if you are a member of the armed forces of the United States or a foreign country. As authorized by laws relating to intelligence, counterintelligence, and other national security activities. To authorized federal officials for the protection of the President, or other authorized persons, or foreign heads of state, or to conduct special investigations. To obtain payment for health care services that we provide you. This may include disclosures to your health insurance plan, and disclosures to third parties with respect to payment to such party. The Practice will not use or disclose your medical information for any other purpose without your written authorization. Once given, you may revoke your authorization in writing at any time. However, we are unable to take back any disclosures we have already made by your permission. We are required to retain our records of health care services we provide you. Right to Inspect and Copy. You have the right to inspect and copy medical information that may be used to make decisions about your care. Such information is contained in a designated record set for as long as we maintain the medical information. The “designated record set” contains medical and billing records and any other records used to make decisions about your treatment. Usually, this does not include psychotherapy notes. To inspect and copy medical information that may be used to make decisions about you, you must submit your request in writing to this office. If you request a copy of the information, we may charge a fee for the costs of copying, mailing, or supplies associated with your request. We may deny your request to inspect and copy in certain very limited circumstances. If you are denied access to medical information, you may request that the denial be reviewed. Another licensed health care professional chosen by the Practice will review your request and the denial. The person conducting the review will not be the person who denied your request. We will comply with the outcome of the review. Right to an Accounting of Disclosures. You have the right to request an “accounting of disclosures.” This is a list of the disclosures we have made of medical information about you. However, you are not entitled to any disclosures made: 1) related to treatment, payment, or health care operations of the Practice, 2) to you, 3)to persons involved in your care or as otherwise permitted above, 4) pursuant to an authorization, 5) for national security or intelligence purposes, 6) to correctional institutions or law enforcement officials, 7) as part of a limited data set, or 8 – prior to April 14, 2003. To request this list or accounting of disclosures, you must submit your request in writing to this office. Your request must state a time period, which may not be longer that six years and may not includes dates before April 14, 2003. The first list you request within a 12-month period will be free. For additional lists, we may charge you a fee for the cost of providing the list. We will notify you of the cost involved and you may chose to withdraw or modify your request at that time before any costs are incurred. Right to Request Restrictions. You have the right to request a restriction or limitation on the medical information we use or disclose about you for treatment, payment, or health care operations. You also have the right to request a limit on the medical information we disclose about you to someone else who is involved in your care or payment for your care, like a family member or friend. For example, you could ask that we not use or disclose information about a surgery that you had. We are not required to agree with your request. If we do agree, we will comply with your request unless the information is needed to provide you emergency treatment, or as otherwise permitted by law. To request restrictions, you must make your request in writing to this office. In your request you must tell us 1) what information you want to limit; 2) whether you want to limit our use, disclosure, or both; and 3) to who you want the limits to apply -–for example, disclosures to your spouse. Right to Request Alternative Communications. You have the right to request that we communicate with you about medical matters in a certain way or at a certain location. For example, you can ask that we only contact you at work or by mail. To request alternative communications, you must make your request in writing to this office. We will not ask you the reason for the request. We will accommodate all reasonable requests. Your request must specify how or where you wish to be contacted. Right to a Paper Copy of This Notice. You have the right to a paper copy of this notice. You may ask us to give you a copy of this notice at any time. To obtain a paper copy of this notice, you must make your request in writing to this office. If you believe your privacy rights have been violated, you may file a complaint with this Practice and/or the Secretary of the Department of Health and Human Services. To file a complaint with this Practice, you must provide your complaint in writing to this office. You will not be penalized for filing a complaint. Please download and sign this form after reviewing our Notice of Privacy and bring to the office for your first visit. "Dr. Lewis is a top notch doctor, who is very professional, knowledgeable and caring." "Very caring and knowledgeable doctor...makes a colonoscopy a fun time..."
"...an excellent doctor with very nice bedside manner and a great sense of humor." Dr. Blair Lewis is a well-respected and experienced New York City gastroenterologist providing care for all sorts of gastrointestinal diseases and conditions at his private practice on Manhattan's Upper East Side. As a board-certified gastroenterologist with more than 72 scientific papers, 25 book chapters and three books to his credit, Dr. Lewis is skilled in a wide array of procedures and treatments aimed at diagnosing and treating GI issues, including endoscopy, colonoscopy, capsule endoscopy and colon cancer screening, as well as the care and management of diseases and conditions like gastroesophageal reflux disease (GERD), colonic polyps and inflammatory bowel disease (IBD). He is considered to be one of the world's leading experts in endoscopy and is widely considered to be the “father” of the capsule endoscopy technique, having served as the primary investigator of several early clinical trials. Dr. Lewis received his M.D. From Albert Einstein College of Medicine, performing his residency in internal medicine at Montefiore Medical Center and a fellowship in internal medicine at Mount Sinai Hospital. In addition to his private practice, Dr. Lewis holds a faculty appointment at Mount Sinai Hospital and is a clinical professor of medicine at the Icahn School of Medicine at Mount Sinai. Named one of New York City's 100 best doctors, Dr. Lewis has been featured on CNN, NBC and CBS Nightly Newscasts, ABC’s 20/20, and NBC’s The Today Show. Dr. Lewis also chaired the annual International Conference of Capsule Endoscopy, and he is past president of the New York Society for Gastrointestinal Endoscopy and the New York Academy of Gastroenterology. He teaches courses in capsule endoscopy nationally and internationally. Committed to providing each patient with the information he or she needs to make educated, informed treatment decisions, Dr. Lewis offers one-on-one gastroenterology consultations to provide information about care, answer questions and address concerns. Each plan of treatment is carefully developed, taking multiple factors into account to ensure the best possible outcome based on every patient's unique medical needs and overall health. Dr. Lewis welcomes new patients, and his practice accepts most major forms of medical insurance. 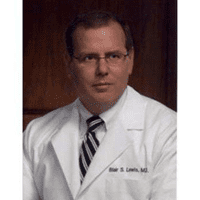 Blair S. Lewis, M.D., P.C. is dedicated to providing state of the art endoscopic diagnostic and therapeutic services. Our goal is to provide you with the highest quality prevention and treatment of digestive diseases in a caring, compassionate manner. At our state of the art medical offices, we are dedicated to providing each patient with superior medical treatment in a comfortable, safe atmosphere. We are known for the easiest preparations for procedures including the least dietary restrictions, and smallest volumes to take. Blair S. Lewis, M.D., F.A.C.P, F.A.C.G. The Mount Sinai Medical Center, New York, N.Y. The Mount Sinai School of Medicine, New York, N.Y.
Beth Israel North Medical Center, New York, N.Y.
Lewis BS, Waye JD. Total small bowel enteroscopy. Gastrointest Endosc 1987;33:435-438. Waye JD, Lewis BS, Frankel A, Geller SA. Small colon polyps. Am J Gastroenterol 1988;83:120-122. Kelly K, Gentili D, Lewis B, Waye J, Benjamin E, Iberti T. The use of percutaneous gastrostomy in critically ill patients. Crit Care Med 1988;16:62-63. Lewis BS, Waye JD. Chronic gastrointestinal bleeding of obscure origin, the role of small bowel enteroscopy. Gastroenterology 1988;94:1117-1120. Lewis BS, Waye JD. Small bowel enteroscopy in 1988: pros and cons. Am J Gastroenterol 1988;83:799-802. Waye JD, Lewis BS. Gastrointestinal bleeding: the small bowel, a diagnostic approach. Ital J Gastroenterol 1988;20:74-77. Lewis B, Waye J, Khilnani M, Biller H. Fibrovascular polyp of the esophagus. Mount Sinai J Med 1988;55:324-325. Waye JD, Lewis BS, Atchison MA, Talbott M. The lost polyp: a guide to retrieval during colonoscopy. Int J Colorect Dis 1988;3:74-77. Lewis BS, Shlien RD, Waye JD, Knight RJ, Aldoroty RA. Diazepam versus midazolam (Versed) in outpatient colonoscopy: a double blind randomized study. Gastrointest Endosc 1989;35:33-36. MacDermott R, Nash G, Auer I, Shlien R, Lewis B. Alterations in serum IgG subclasses in patients with ulcerative colitis and Crohn’s disease. Gastroenterology 1989;96:764-768. Mauer K, Waye J, Lewis B, Szporn A. The hairy polyp: a benign teratoma of the colon. Endoscopy 1989;21:148-151. Lewis B, Mauer K, Bush A. The rapid placement of jejunal feeding tubes: The Seldinger technique applied to the gut. Gastrointest Endosc 1990;36:139-141. Lewis B, Kornbluth A. Hormonal therapy for bleeding from angiodysplasia: chronic renal failure, et al?? Am J Gastroenterol. 1990;85:1649-51. Biener A, Palestro C, Lewis B, Katz L. Intraoperative scintigraphy for active small bowel bleeding. Surg Gyn Obst 1990;171:388-392. O’Brien M, Winawer S, Zauber A, and the National Polyp Study Group. The national polyp study. Gastroenterology 1990;98:371-379. Waye J, Yessayan S, Lewis B, Fabry T. Technique of abdominal pressure in total colonoscopy. Gastrointest Endosc 1991;37:147-151. Lewis B, Wenger J, Waye J. Intraoperative enteroscopy versus small bowel enteroscopy in patient with obscure GI bleeding. Am J Gastroenterol 1991;86:171-174. Lewis B, Kornbluth A, Waye J. Small bowel tumors: the yield of enteroscopy. Gut, 1991;32:763-765. Aisenberg J, Cohen L, Lewis B. Marked endoscopic gastrostomy tubes permit one-pass Ponsky technique. Gastrointest Endosc, 1991;37:552-553. Barkin J, Lewis B, Reiner D, Waye J, Goldberg R, Phillips R. Diagnostic and therapeutic jejunoscopy with a new, longer enteroscope. Gastrointest Endosc 1992;38:55-58. Lewis B, Salomon P, Rivera-MacMurray S, Kornbluth A, Wenger J, Waye J. Does hormonal therapy have any benefit for bleeding angiodyplasia? J Clin Gastroenterol, 1992;15:99-103. Szold A, Katz L, Lewis B. Surgical approach to occult GI bleeding. Am J Surg 1992;163:90-92. Rex D, Lewis B, Waye J. Colonoscopy and endoscopic therapy for delayed post-polypectomy hemorrhage. Gastrointest Endosc 1992;38:127-129. Waye J, Lewis B, Yessayan S. Colonoscopy, a prospective report of complications. J Clin Gastroenterol 1992;15:347-351. Berner J, Mauer K, Lewis B. Push and sonde enteroscopy for obscure GI bleeding. Am J Gastroenterol 1994;89:2139-42. Askin M, Lewis B. Push enteroscopic cauterization: long-term follow-up of 83 patients with bleeding small intestinal angiodysplasia. Gastrointest Endosc 1996;43:580-3. Heimann T, Greenstein A, Lewis B, Kaufman D, Heimann D, Aufses A. Comparison of primary and reoperative surgery in patients with Crohns disease. Ann Surg 1998;227:492-5. Geller A, Clain JE, Lewis BS, Gostout CJ. Enteroliths in a Kock continent ileostomy: endoscopic diagnosis and management. Gastrointest Endosc 48:306-8, 1998. Zuckerman G, Prokash C, Askin M, Lewis B. AGA technical review on the evaluation and management of occult and obscure gastrointestinal bleeding. Gastroenterol 2000;118:210-221. Lewis B, Swain S. Capsule endoscopy in the evaluation of patients with suspected small intestinal bleeding: results of a pilot study. Gastrointest Endosc 2002;56:349-53. Goldfarb N, Phillips A, Conn M, Lewis B, Nash D. Economic and health outcomes of capsule endoscopy. Disease Management 2002;5:123-35. Lewis B, Goldfarb N. The advent of capsule endoscopy – a not-so-futuristic approach to obscure gastrointestinal bleeding. Aliment Pharmacol Ther 17:1085-96; 2003. Goldfarb NI, Pizzi LT, Fuhr JP Jr, Salvador C, Sikirica V, Kornbluth A, Lewis B. Diagnosing Crohn’s disease: an economic analysis comparing wireless capsule endoscopy with traditional diagnostic procedures.Disease Management 2004;7:292-304. Goldstein JL, Eisen GM, Lewis B, Gralnek I, Zlotnick S, Fort JG. Video capsule endoscopy to prospectively assess small bowel injury with celecoxib, naproxen plus omeprazole, and placebo. Clin Gastroenterol and Hepatology 2005;3:133-41. Lewis B, Eisen G, Friedman S. A pooled analysis to evaluate results of capsule endoscopy trials. Endoscopy 2005;37:960-5. Eliakim R, Sharma V, Yassin K, Adler S, Jacob H, Cave D, Sachdev R, Mitty R, Hartmann D, Schilling D, Riemann J, Bar-Meir S, Bardan E, Fennerty B, Eisen G, Faigel D, Lewis B, Fleischer D. A prospective study of the diagnostic accuracy of the PillCam™ ESO video capsule, esophageal capsule endoscopy, versus conventional upper endoscopy in patients with chronic gastroesophageal reflux diseases. J Clin Gastroenterol 2005;39:572-8. Cobrin G, Pittman R, Lewis B. Increased diagnostic yield of small bowel tumors with capsule endoscopy. Cancer 2006;107:22-7. Cheifetz AS, Kornbluth AA, Legnani P, Schmelkin I, Brown A, Lichtiger S. Lewis B. The risk of retention of the capsule endoscope in patients with known or suspected crohn’s disease. Am J Gastroenterol. 2006;101:2218-22. Cheifetz AS, Lewis BS. Capsule endoscopy retention: is it a complication? J Clin Gastroenterol. 2006;40:688-91. Goldstein JL, Eisen GM, Lewis B, Gralnek IM, Aisenberg J, Bhadra P, Berger MF. Small bowel mucosal injury is reduced in healthy subjects treated with celecoxib compared with ibuprofen plus omeprazole, as assessed by video capsule endoscopy. Aliment Pharmacol Ther. 2007;25:1211-22. Lewis B. Obscure GI bleeding in the world of capsule endoscopy, push, and double balloon enteroscopies. Gastrointest Endosc 2007;66: S66-S68. Mergener K, Ponchon T, Gralnek I, Pennazio M, Gay G, Selby W, Seidman E, Cellier C, Murray J, de Franchis R, Rosch T, Lewis B. Literature review and recommendations for clinical application of small-bowel capsule endoscopy, based on a panel discussion by international experts. Endoscopy 2007;39:895-909. Raju GS, Gerson L, Das A, Lewis B; American Gastroenterological Association. American Gastroenterological Association (AGA) Institute technical review on obscure gastrointestinal bleeding. Gastroenterology. 2007;133:1697-717. Raju GS, Gerson L, Das A, Lewis B; American Gastroenterological Association. American Gastroenterological Association (AGA) Institute medical position statement on obscure gastrointestinal bleeding. Gastroenterology. 2007;133:1694-6. Gralnek I, de Franchis R, Seidman E, Leighton J, Legnani P, Lewis B. Development of a capsule endoscopy scoring index for small bowel mucosal inflammatory change. Aliment Pharmacol Ther 2008;27:146-54. Waye JD, Atchison MA, Talbott MC, Lewis BS. Transillumination of light in the right lower quadrant during total colonoscopy. Gastrointest Endosc 1988;34:69(letter). Waye J and Lewis B. Small bowel enteroscopy. Gastroenterol 1988;95:1159(letter). Lewis B. Perform PEJ, not PED. Gastrointest Endosc 1990;36:311-313 (editorial). Lewis B, Kornbluth A. Hormonal therapy for GI bleeding from angiodysplasia. Am J Gastroenterol 1990;85:1649-1651 (editorial). Lewis B. Small bowel enteroscopy. Lancet 1991;337:1093-1094 (letter). Plotner A, Lewis B: Duodenal migration and retrieval of metallic biliary stent. Gastrointest Endosc 1991;37:, 496-497 (letter). Lewis B. Direct percutaneous endoscopic jejunostomy. Gastrointest Endosc 1991;37:493 (letter). Lewis B. Conquering the last frontier: is it necessary? Gastrointest Endosc 1991;37:97-99 (editorial). Bach N, Glabman S, Lewis B. Prostaglandin analogues and reversal of hepatorenal syndrome: fact or fiction?. Am J Gastroenterol 1991;86:1271-1272 (editorial). Lewis B. The only good polyp. Am J Gastroenterol 1995;90:1-2. Lewis B. Radiology versus endoscopy of the small bowel. Endoscopy 1998;30:412- 5 (editorial). Lewis B. Ileoscopy should be part of standard colonoscopy: a comparison of radiographic and endoscopic evaluation of the ileum. J Clin Gastroenterol. 2000;31:103-4. Lewis B. Enteroscopy: endangered by the capsule. Endoscopy 2002;34:416-7. Lewis B. How to prevent capsule retention. Endoscopy 2005;37:852-6. Akhtar R, Lewis B, Ullman T. Mucosal healing of Crohn’s disease demonstrated by capsule endoscopy in a woman with obscure gastrointestinal bleeding. Am J Gastroenterol 2009;104:1065-6. Lewis BS and Mayer LF. Extraintestinal manifestations of inflammatory bowel disease. Practical Gastroenterology 1987;11:37-46. Waye JD, Atchison MA, Talbott MC, Lewis BS. Light in the right lower quadrant during colonoscopy: a comparison of fiberoptic versus video colonoscopes. J Soc Gastrointest Assist 1988;10:157-158. Waye JD, Atchison MA, Talbott MC, Lewis BS. Suction retrieval of the small colon polyp. J Soc Gastrointest Assist 1988;10:199-201. Lewis BS and Waye JD. Bleeding from the small bowel: an approach to diagnosis. Resident and Staff Physician 1988;34:5MT-19MT. Lewis B and Czachor K. Small bowel enteroscopy: the gastrointestinal assistant’s role. J Soc Gastrointest Assist 1989;11:93-96. Lewis B. Gastrointestinal bleeding. Critical Care Syllabus. Clinical Resource Division, Department of Nursing, Mount Sinai Medical Center, 1988-1989. Lewis B and Waye J. Benign gastric ulcer. IM – Internal Medicine For The Specialist 1989;10:19. Lewis B and Waye J. Arteriovenous malformations. IM – Internal Medicine for The Specialist 1989;10:3:19. Lewis B and Waye J. Duodenal Varices. IM – Internal Medicine for The Specialist 1989;10:4:19. Lewis B and Waye J. Small intestinal amyloid. IM – Internal Medicine for The Specialist 1989;10:5:27. Lewis B. Small bowel enteroscopy, a how-to guide. Endosc Rev 1990;7:36-50. Lewis B. Removal of gastrostomy tubes. Endosc Rev 1991;8:24-26. Lewis B, Waye J. Upper GI endoscopy: state of the art. Hospital Medicine 1991;27:79-96. Lewis B. Obscure gastrointestinal bleeding. Mount Sinai J Med 1993;60:200-208. Lewis B. Percutaneous endoscopic stomas for enteral feeding and drainage. Oncology 1995;9:44-47. Lewis B. Medical and hormonal therapy in occult gastrointestinal bleeding. In Seminars in Gastrointestinal Disease; eds. Schlesinger M, Rockey D, Wilcox C,; Saunders, Philadelphia; 1999;10:71-77. Lewis B. The Techniques of Push and Surgically Assisted Enteroscopy. Clinical Perspectives in Gastroenterology 2000;3:18-23. Lewis B. The utility of capsule endoscopy in obscure gastrointestinal bleeding. Techniques in Gastrointestinal Endoscopy 2003;5,115-120. Lewis B. How to read wireless capsule endoscopic images: tips of the trade. Gastrointest Endoscopy Clin N Am 2004;14:11-6. Kornbluth A, Legnani P, Lewis B. Video capsule endoscopy in inflammatory bowel disease: past, present and future. Inflamm Bowel Dis 2004;10:278-85. Lewis B, Rey J, Seidman E. Capsule endoscopy 2005: results of the 2005 international consensus conference. Endoscopy 2005;37:1038-9. Cave D, Legnani P, deFranchis R, Lewis B. ICCE consensus for capsule retention. Endoscopy, 2005;37:1065-1067. Lewis B. The great mimickers. Techniques in Gastrointestinal Endoscopy 2006;8:175-81. Lewis B. Expanding Role of capsule endoscopy in inflammatory bowel disease. World J Gastroenterol 2008;14:4137-41. Tennyson C, Lewis B. Enteroscopy: an overview. Gastrointest Endosc Clin N Am 2009;19:315-24. Sachar DB, Waye JD, Lewis BS eds. Gastroenterology for the House Officer. Williams and Wilkins, Baltimore, 1989. Rex D and Lewis B. Flexible Sigmoidoscopy. Blackwell Science, Cambridge; 1996. Morris AJ and Lewis B, eds; Gastrointestinal Endoscopy Clinics of North America; Enteroscopy; Saunders, Philadelphia; Vol 9:1;1999.
de Franchis R, Lewis B, Mishkin D. Capsule Endoscopy Simplified. Slack Incorp. New Jersey, 2010. Cohen L, Lewis B. Acute gastrointestinal bleeding. In Gastroenterology for the House Officer. Williams and Wilkins, Baltimore, 1989. Lewis B. Vascular disorders of the intestine. In Gastroenterology for the House Officer. Williams and Wilkins, Baltimore, 1989. Lewis B. Diverticular disease of the colon. In Gastroenterology for the House Officer. Williams and Wilkins, Baltimore, 1989. Dr. Lewis volunteers his time at Carnegie Hill Endoscopy providing endoscopic services for the uninsured as part of the Center’s Charity Program. He also serves on the Board of AliveAndKickn.org, a charitable organization dedicated to increase awareness and prevention of colorectal cancer and increase early detection through screening and genetic testing. Click here to read Dr. Lewi's article "How We Leveled the CRC Screening Playing Field."